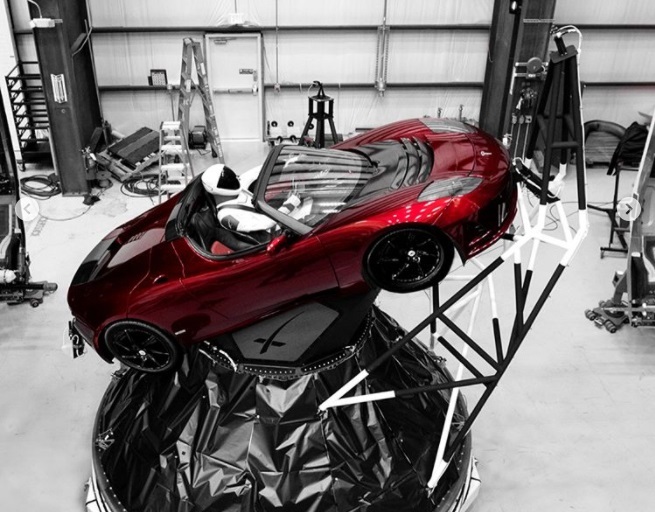 We're only a day away from Falcon Heavy's maiden flight, and we now find out that it will not only carry Elon Musk's Tesla Roadster into space... it will also have someone at the wheel. Elon Musk said SpaceX's Falcon Heavy rocket would launch his own Tesla Roadster into space - something most people assumed to be a joke... but that was later confirmed to be true. Now, his latest Instagram photos reveal that there will be a passenger on board. At the wheel of the Tesla Roadster we'll have "Starman", a mannequin wearing one of SpaceX's stylish space suits. Now all that is left to know is if this is simply a PR stunt, or if SpaceX will actually be monitoring the space dummy and space suit for extra data (though I guess that data might not be that useful, considering that in future manned launches astronauts won't be riding a Tesla into space). ... But there's on extra "Elon Musk" touch in there. 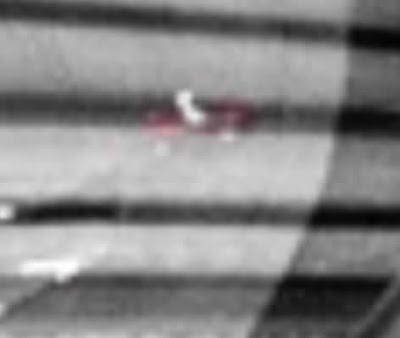 In the closer shots we can barely see something in the car dashboard... and it is a miniature red car (most likely a Tesla Roadster) with an astronaut at the wheel. Well, funny stuff aside, don't forget to tune in and witness this memorable Falcon Heavy launch tomorrow, February 6th, at 1h30 PM EST.